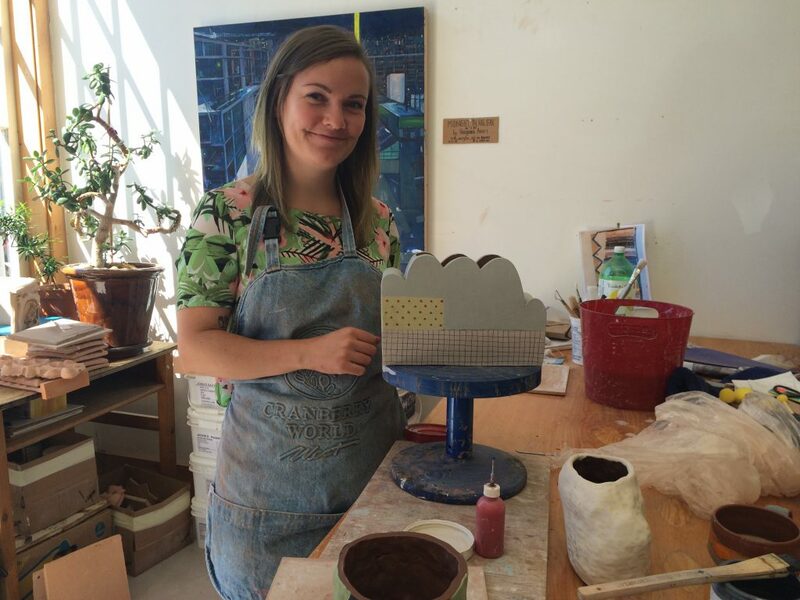 Lunenburg School of the Arts wrapped their inaugural summer 2015 schedule with ceramicist, Adero Willard, instructing “Colour, Layer, Pattern”, surface techniques for ceramics. LSA’s inaugural summer program of weekly classes finished as it began, with a ceramics workshop, in the ground level East Bay Studio. Students created various forms of ceramic vessels, then under the capable guidance of instructor Adero Willard, finished their work in patterns of many colours and designs. “Adero Willard’s surface decoration class was fulfilling and inspiring. Spending 5 days learning new techniques and putting them to creative use with other artists was just the artistic boost I needed for my own work. The studio space was perfect with all of the tools and equipment needed and the view of the harbour and landscape beyond was inspiring. I met some wonderful creative people that I hope to collaborate with again.” Alison Stanton, Little Harbour, N.S. Lunenburg School of the Arts had a summer filled with creative minds of all ages and levels of artistic experience. The beginners were quick learners and the experienced students added to their artistic skills. Many curious tourists walking by the East Bay Studio were welcomed in, took pictures, asked questions and some signed up for our newsletter. “Developing new artistic skills and new friendships at our School this summer was a daily occurrence. There was plenty of enthusiasm for future enrolment with promises of ‘I’ll be back’. We enjoyed a strong first season of week-long courses, and we are grateful for the students and instructors who participated.” Hon. Wilfred Moore, QC, LL.D., Volunteer Chair. Stay tuned for updates on our fall schedule of workshops.